Speech therapy is offered as a subservice of home health care and services. When seniors are under home health care, the doctors and nurses will evaluate whether or not they need speech therapy treatment. Speech and language pathologists specialize in the evaluation and treatment of communication and swallowing disorders. They will evaluate senior patients and create a treatment plan to help improve their communication, nutrition, and cognition. Seniors that suffer from medical conditions such as dementia, stroke, oral cancer, or brain injury will benefit from speech therapy. One step of the process is to improve the dexterity of the mouth and tongue. Oral motor exercises will help improve their speaking ability and help them to communicate more clearly. 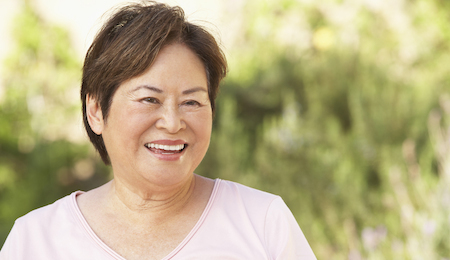 Seniors may experience speech and language difficulties for many different reasons. They may have speech disorders such as stuttering, apraxia, dysarthria or language disorders such as aphasia. Not being able to communicate can be very frustrating for seniors. They may not know or understand why they aren’t able to articulate clearly. Speech therapy will help identify their problem areas and determine the best treatments and methods for their individual needs. Each person deserves customized and personal speech therapy, and that’s what we do at Self-Help for the Elderly. Give your loved one their communication back. Call Self-Help for the Elderly to learn more.